Oh I'm so excited to be blogging today and showing you my lovely shiny, new blog. What do you think? One of my fellow team members, who is an absolute techie whizz, has worked with some graphics to completely transform my blog into this clean and simple, bright and funky design. It really represents my style of crafting and of course all the daisies tie in so well with my business name. I'm delighted with it!! But on to today's project, or should I say projects, as I have three very different cards to show you today. These are cards that I received in a "Card swap" recently. We were put into groups of 6, then each member made 6 of the same card which we all swapped so we ended up with 6 different cards. 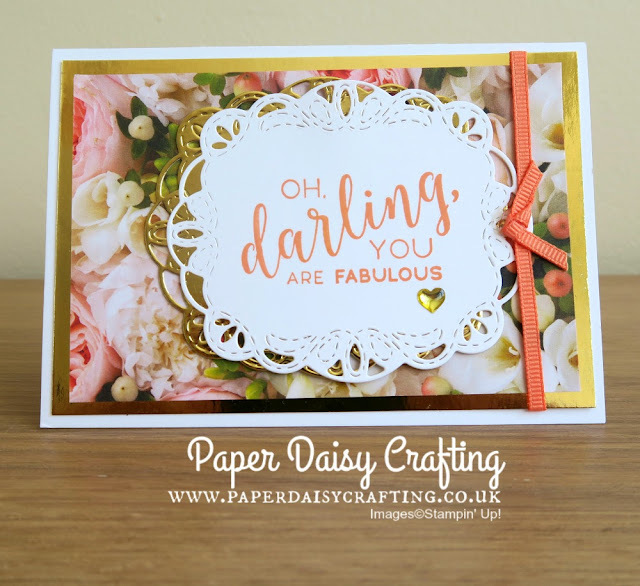 So many things to love about this card - The Petal Promenade designer series paper, the Stitched Labels die cut, the grapefruit grove ribbon .....I could go on! I had completely overlooked this stamp set - Tropical Chic - in the catalogue but after seeing Wendy's card I had to buy it - I'm blaming Wendy!! 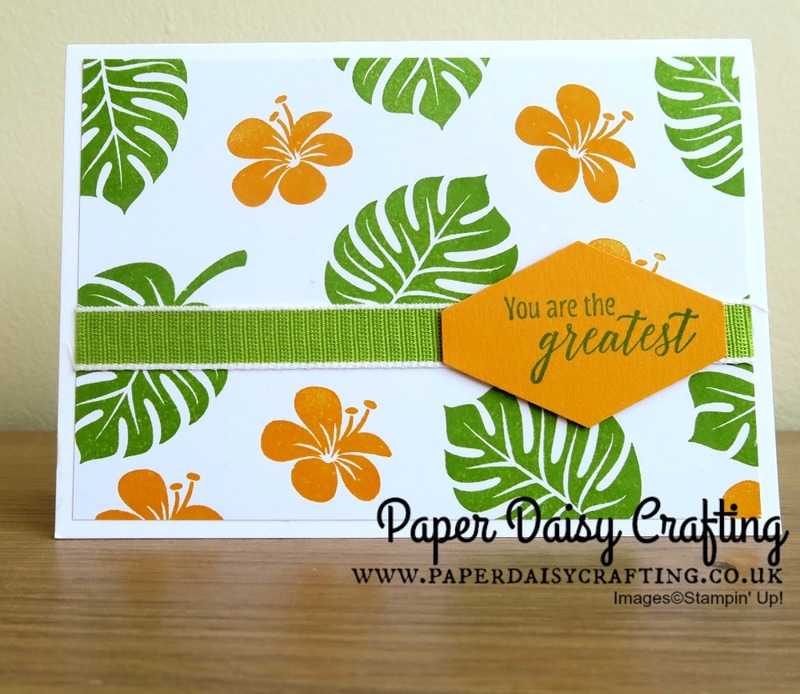 I've already CASEd this card and used the design in a beginner stamping class. I'll be bringing you a tutorial very soon! Such a pretty card. Violet has used our Lovely Floral embossing folder and a panel of the Share What You Love designer paper. The butterfly is from the Painted Glass stamp set and the sentiment from Detailed With Love. Beautiful cards, all three. Thank you so much ladies! I'll be back to show you the other two cards I received in a few days, along with the card I made for my swap.